Scientific Collaborator, ULg; Lawyer, Brussels Bar. Laurent De Muyter is Scientific Collaborator with the LCII. 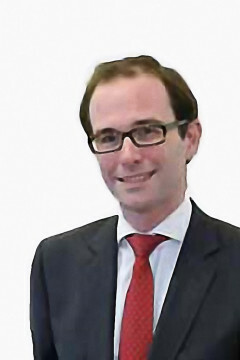 He is also lawyer at Jones Day – Laurent is registered at the Brussels Bar – where is practice covers market regulations, privacy, and antitrust. Laurent’s regulatory practice focuses on network industries, in particular telecom but also postal services, energy, and transportation. He has advised operators, regulators, and governments on various legal issues, including liberalization processes, authorizations, scarce resources licensing, network roll-out and sharing, interconnection and interoperability, roaming, access regulations, universal services obligations and financing, VoIP, numbering, and legal interception. Laurent’s antitrust experience covers anticompetitive practices and merger filings at the European and national levels in a breadth of sectors, including automotive, chemicals, consumer goods, pharmaceuticals, and telecom. He regularly advises clients on compliance for cooperation agreements, distribution, and technology licensing. Since 2013, Laurent has been a member (“assessor”) of the decisional body of the Belgian Competition Authority.